Buchanan & Buchanan Obtains $750,000 Judgment Against Mercy Health Saint Mary’s Hospital for Denying Heart Monitoring, Resulting in Man’s Needless Death. Buchanan & Buchanan. On January 31, 2017, the Kent County Circuit Court entered a judgment against Mercy Health Saint Mary’s Hospital of Grand Rapids, Michigan for violating patient safety. 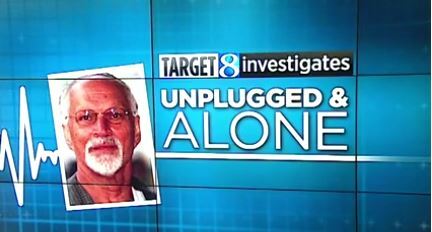 The hospital disconnected and denied continual heart monitoring for a 72-year-old man with a known heart condition and suffering severe sepsis. While unmonitored and alone in a hospital room, the man eventually lapsed into dangerous heart rhythms. By the time nursing checked on him, his heart had stopped and he had permanent-cognitively-incapacitating brain damage. He died of the injuries several days later. Attorney Robert Buchanan, managing partner of Buchanan & Buchanan, obtained a $750,000 judgment against the Grand Rapids hospital. The patient was Peter Winkle, a beloved hospice chaplain, who sought medical care for a urinary tract infection at the emergency room on Saturday, May 10, 2014. Peter alerted staff of his heart history. The emergency department, recognizing the serious condition, started continual heart monitoring and arranged with Saint Mary’s Hospital admitting him to a hospital bed with continual heart monitoring. The emergency team, by telephone, alerted the hospital physician and hospital nurse of the need for continual heart monitoring at the hospital. When the ambulance crew wheeled the man to his room at Saint Mary’s Hospital, the hospital nurse discontinued heart monitoring without notifying or asking a physician. The hospital physician saw the patient deteriorating later that night, but did not restore heart monitoring. A hospital computer even warned the nurse and physician the patient was deteriorating to septic shock. They did nothing. When Peter was left alone, the severe sepsis triggered dangerous heart rhythms. With no heart monitoring to warn of the change or sound an alarm for medical help, the dangerous rhythm gradually deteriorated to heart dysfunction, and nobody outside the room knew. Later, the hospital nurse returned, finding Peter in bed pulseless and unresponsive. The code team restarted the heart, but the lengthy period before with no blood circulation had caused permanent-cognitive-incapacitating brain damage. The man died in the ICU 9 days later from the brain damage. Peter Winkle is survived by his wife Renee and young daughter. Buchanan & Buchanan is a personal injury law firm representing people, not insurance companies. Buchanan & Buchanan has a well-earned reputation for providing aggressive and high quality representation for people catastrophically injured by the misconduct of others. Unlike other law firms, Buchanan & Buchanan employs experienced medical professionals as members of the team. They work closely with clients and attorneys, from the initial interview through settlement or trial, overseeing medical issues, advising on strategy, and selecting top-notch medical experts critical to an excellent outcome. Selecting only excellent cases and preparing them with a team of talented professionals has made Buchanan & Buchanan one of the Midwest’s best medical malpractice and catastrophic injury firms.